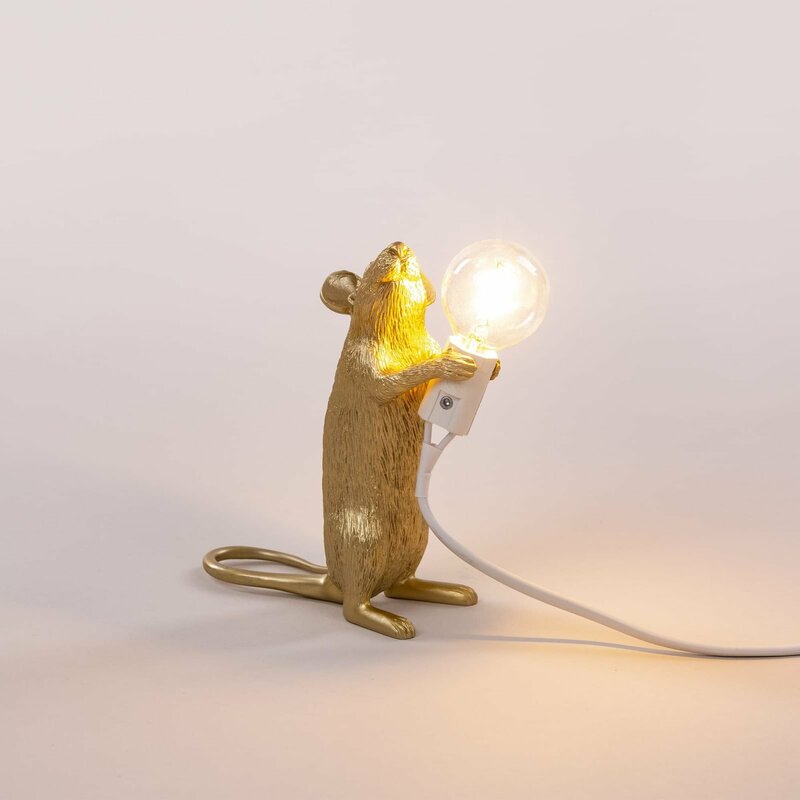 A more glamorous addition to Seletti’s collection of animal lamps, this Mouse Lamp Gold – Standing features a bright gold finish and a highly detailed design. 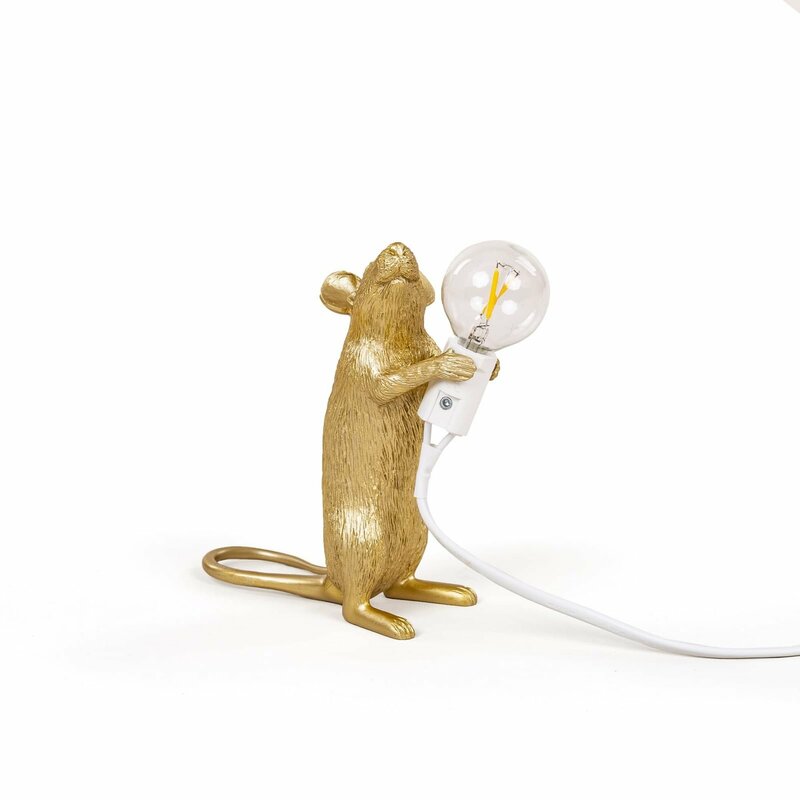 Created by Marcantonio, the mouse-shaped lamp aims to bring both light and playfulness into interiors. 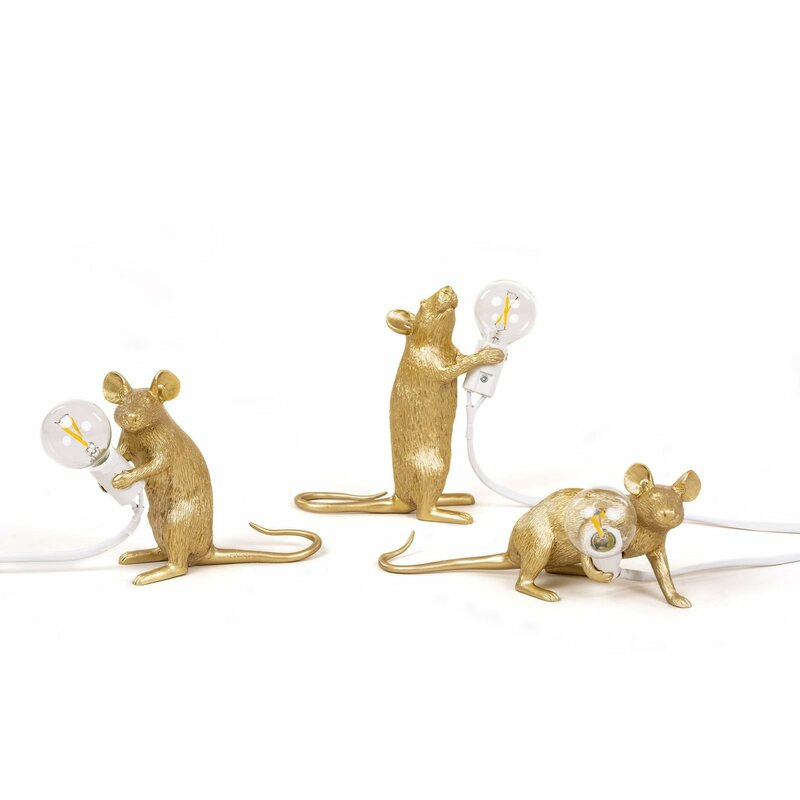 The intricate design recreates the appearance of a mouse in a resin form. 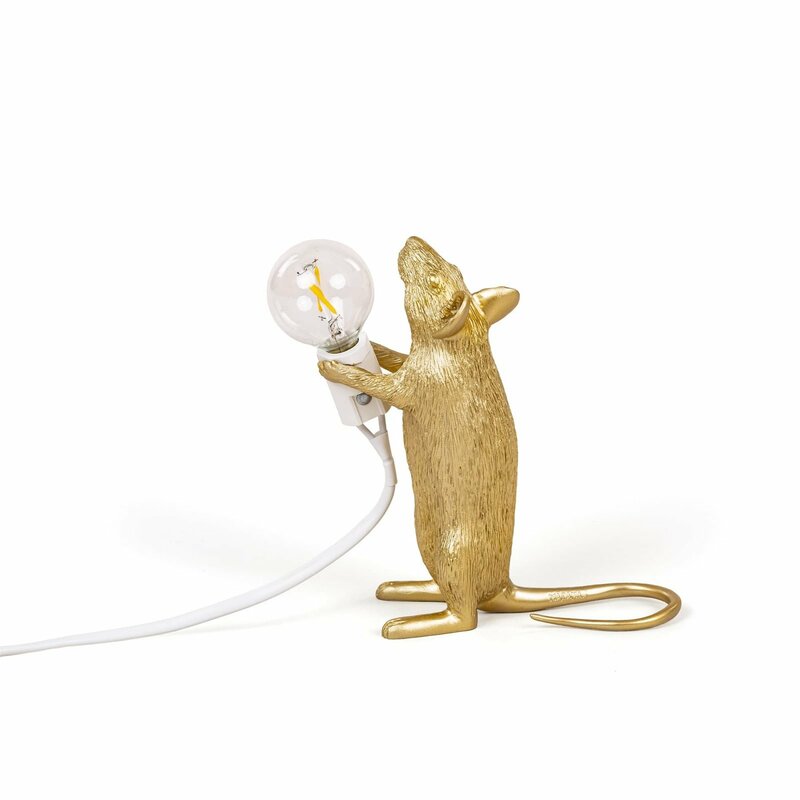 This version of the golden mouse lamp showcases the animal in a standing position, holding the light bulb while looking upwards. 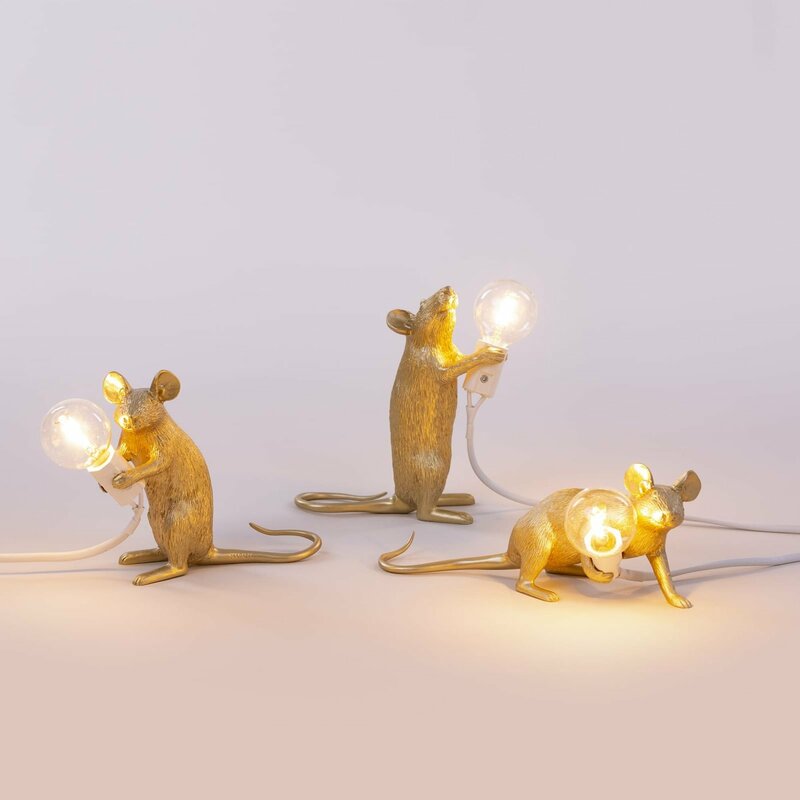 Eye-catching on its own, this designer table lamp would look even more striking in a complete set of three different characters. 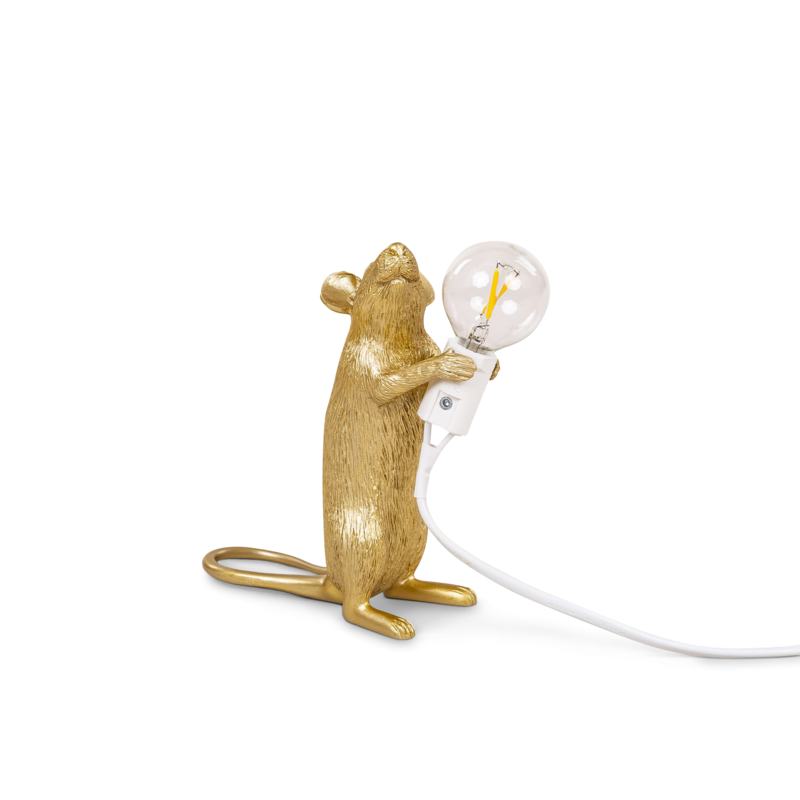 Discover the other Seletti animal lamps in our shop.